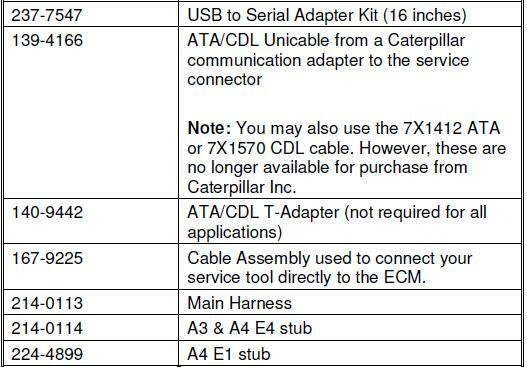 As a excellent Professional Diagnostic Tools products, CAT Caterpillar ET Diagnostic Adapter has a powerful function.it not only can Display “Logged Event Codes” to show engine over speeds,High temperatures, fuel consumption but also can view ECM’s current configuration and change user settings,perform diagnostic tests and calibrations, and calibrate.Electro-mechanical and electro-hydraulic components . This is the only recommended communication device for CAT, and the only datalink device that will allow you to properly communicate with a CAT engine on dual datalinks. 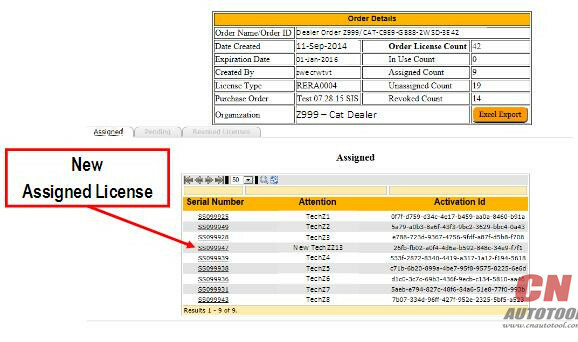 Context sensitive help leads operator through every task Cat ET can perform. Data Logger and Data Log Viewer allows recording of ECM signals for delayed troubleshooting capability.Cat “ET Trainer” is now included in ET Program. 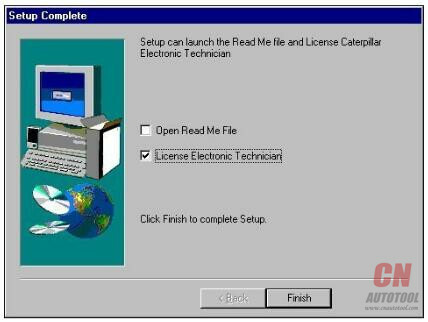 It allows Users to train and practice using Cat ET without a Communications adapter or Electronic Control Module (ECM).This is a free feature of Cat ET. 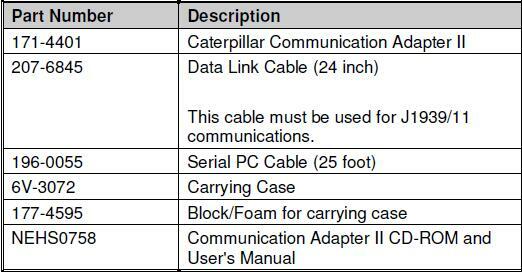 It is the latest generation of the CAT Communication Adapter group, and replaces the Caterpillar Tools This is the only recommended communication device for CAT, and the only datalink device that will allow you to properly communicate with a CAT engine on dual datalinks. 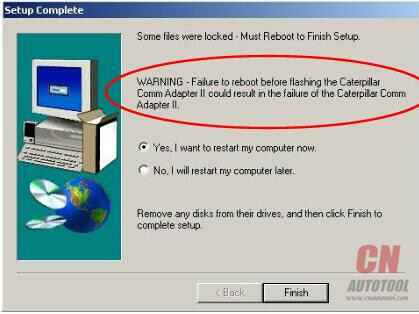 This function is needed for some CAT ET (Electronic Technician) functions. 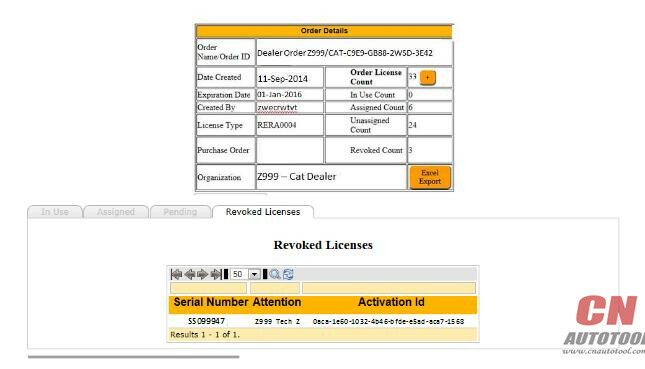 The PC-based service tools from Caterpillar provide the capability to access Electronic Control Modules (ECMs) from a personal computer. Many job-critical tasks can be performed with an electronic service tool. The user can display the status of a group of parameters (temperatures, pressures, etc.) simultaneously, view active and clear logged diagnostics, display the current configuration of an ECM and much more. 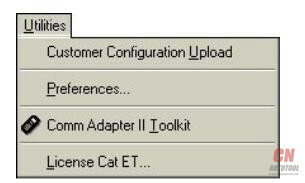 The service tool works with a communication adapter to allow connection to an ECM. 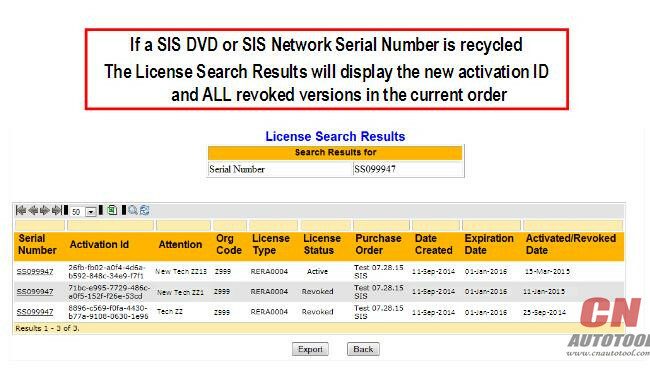 The version and identification of the ECM is automatically retrieved and is displayed on a summary screen when the program is started. Diagnostic tests and calibrations can also be performed. More similar products can be found on www.cnautotool.com and any problem please feel free contact us. Step 1 Align and attach one end of the PC cable to the PC cable connection on the Communication Adapter II. Step 2 Connect the other end of the cable to the communication port of your PC. 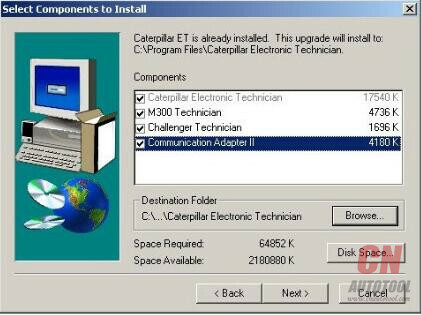 Step 1 After you have connected the Communication Adapter II to your PC, connect one end of the data link cable to the data link connection on the Heavy Duty Diagnostic tool Caterpillar Electronic Technician. Step 2 Connect the other end of the data link cable to the service connector on the product you wish to test. If the data link is powered (machine power is on), the Power light on the Communication Adapter will glow and the diagnostic test will begin. The lights on the front of the Communication Adapter II will sequentially glow from the bottom to the top of the device. You are now ready to start the service tool. Recycling serial numbers will help reduce cost to Cat which is passed on to Cat dealers. This course has been designed to provide participants with the knowledge and skills necessary to use Caterpillar Electronic Technician to monitor, test, adjust, calibrate and troubleshoot Diagnostic Scan Tool Caterpillar Electronic Control Systems. The course starts with Sensor interpretation and diagnosis, then Data Links, diagnosing and testing, ECMs and their inputs and outputs with relation to the 8 Steps of Troubleshooting. 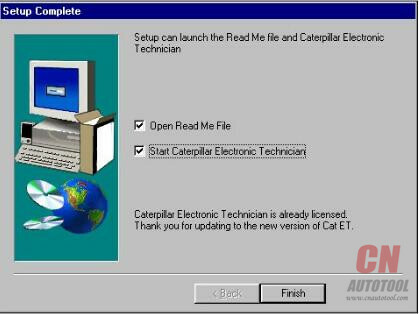 Then CAT ET program navigation and use with a practical component. 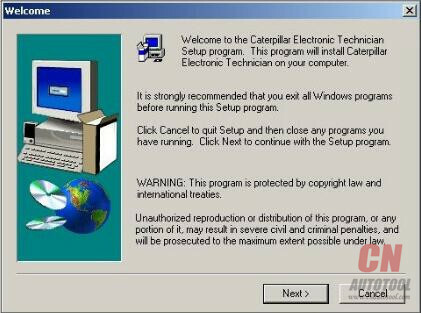 Participants should be actively involved in the maintenance and repair of Caterpillar equipment and should be familiar the use of a laptop computer and windows program. The contents of this chapter apply only to Dealer Coordinators. 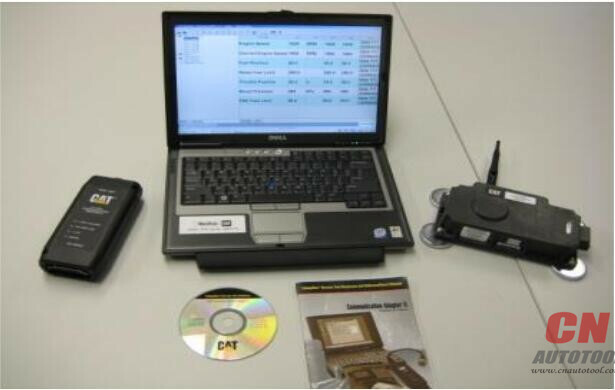 Contact your Dealer Coordinator for information on licensing your OBD Scanner. 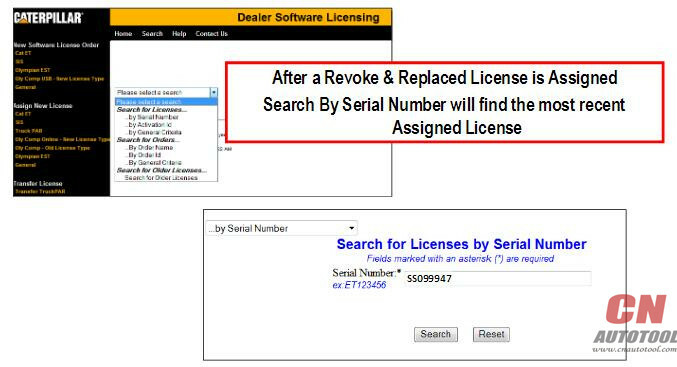 The Licensing dialog box allows you to register your service tool, or change your subscription type. 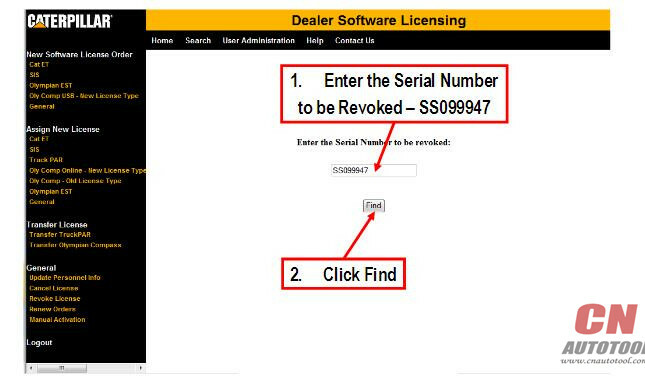 Once your service tool is registered, write down the Serial Number and keep it in a safe place. 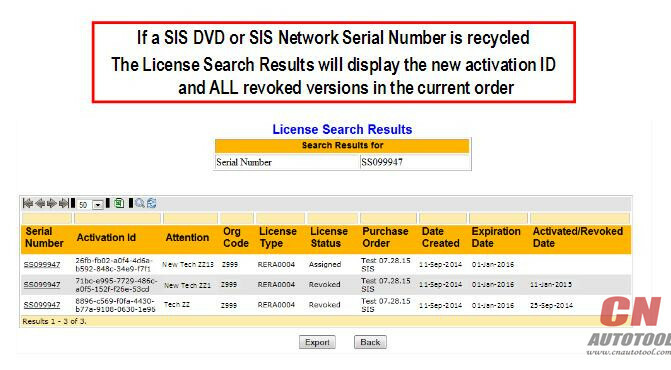 You will need this number to transfer or re-license the service tool. 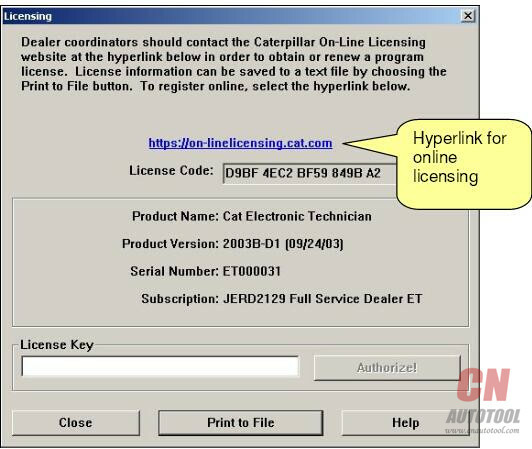 Step 1 Select the hyperlink in the Licensing dialog box. Your Internet browser displays the Corporate Web Security page. Step 2 Enter your CWS Logon ID and Password in the text boxes. Note: If you do not have a CWS Logon ID, you cannot use this option. Step 3 Press the “Login” pushbutton. 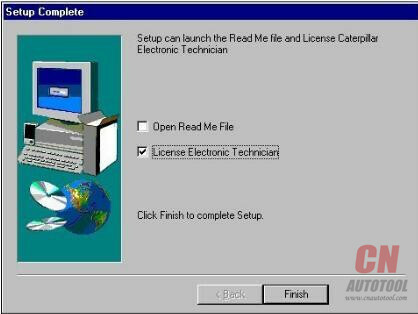 The Service Systems Software Online Licensing screen displays. 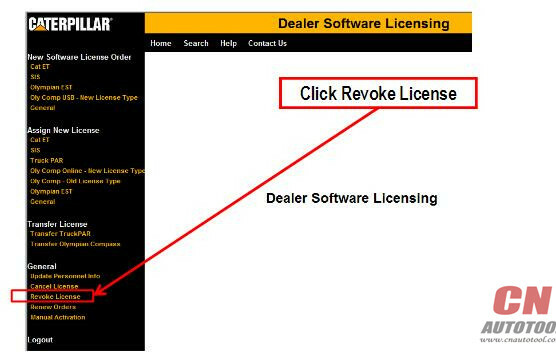 Step 4 Press the “License” pushbutton in the center of the screen. 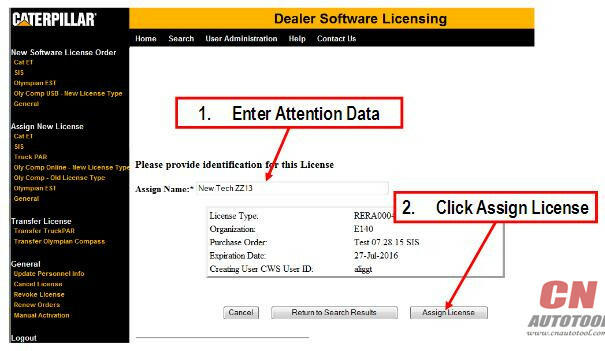 A series of screens will guide you through the licensing procedure. 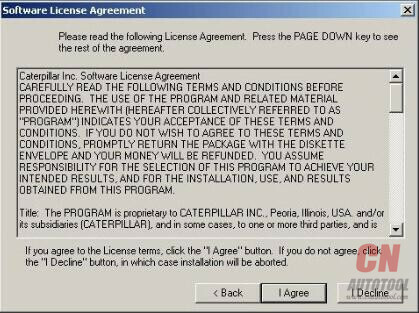 In the Licensing dialog box press the “Print to File” pushbutton. 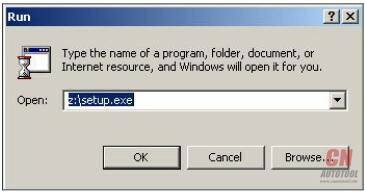 The File Save As dialog box is displayed. Select a location to save this license.txt file.
. Fill out this form as directed and email or FAX the information to Caterpillar Media and Product Information Logistics. These mailing instructions are also included on the license.txt form. 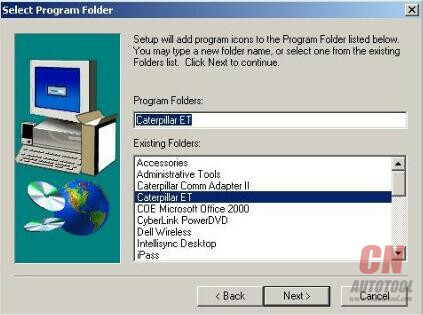 By default, this file is located in the service tool program folder. Press the “Close” pushbutton in the Licensing dialog box. 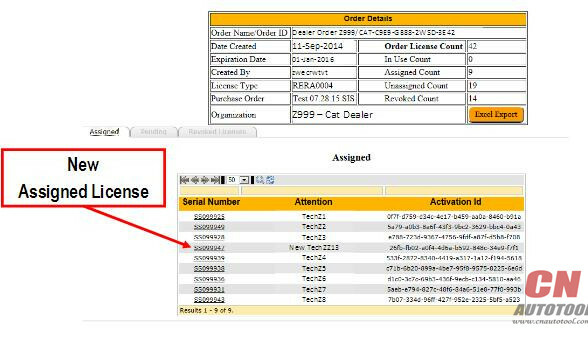 When you receive the email or FAX from Caterpillar Media and Product Information Logistics, open the Licensing dialog box from the service tool. Enter the License Key in the text box exactly as it displays in the email or FAX. 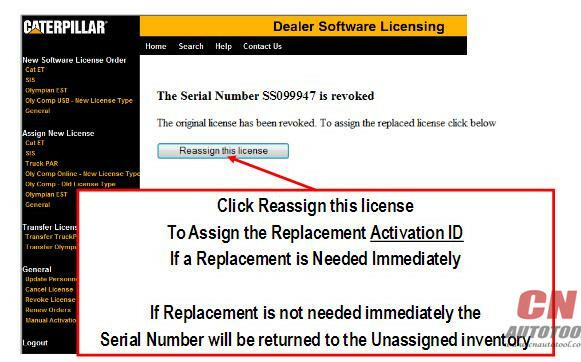 CAT ET (CAT Electronic Technician) 2017A is an updated version of the dealer level program for the diagnosis of all equipment Caterpillar. Step 1 Close any applications you are running. This includes any connections to mainframe computers or networks. Only Windows should be running. If the CD is in a CD-ROM drive other than “z,” substitute“z” with the appropriate drive letter. Press “<Back” to return to the previous screen. Press “I Decline” to abort the setup process. 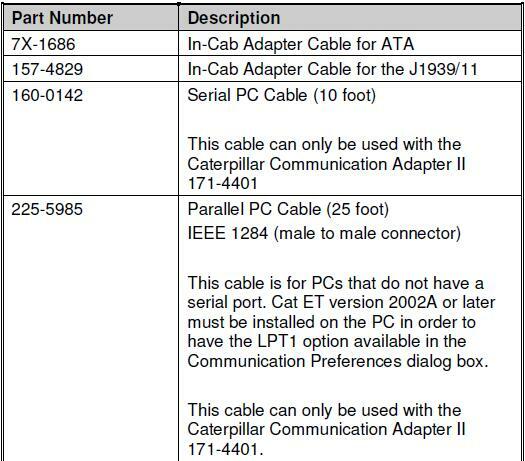 When installing the Communication Adapter II, a message box is displayed with important instructions about the Car Diagnostic Tool Communication Adapter II. Press “OK. Cat ET 2017C (Caterpillar Electronic Technician) is an updated version of the dealer level program for the diagnosis of all equipment Caterpillar. 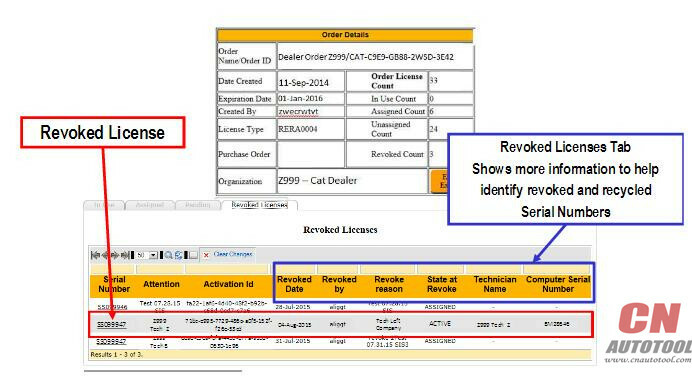 When you purchase a program CAT ET (Caterpillar ET) 2017С, you get detailed and clear instructions on how to activate it. 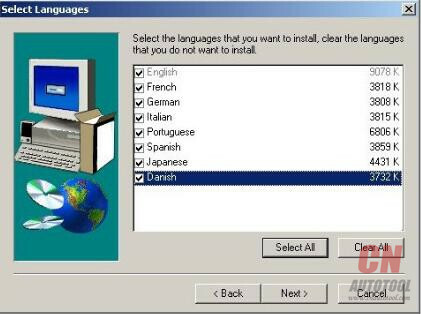 But if you have difficulties or questions concerning the installation, we are helping you to enable the software remotely via TeamViewer free of charge, without any additional fees. The Preferences dialog for the Product Status Report has changed. The dialog contains a new checkbox to automatically save a Product Status Report as a PDF file when the report is created. The Car Diagnostic Tool will continue to automatically save Product Status Reports as an XML file.